Thank you for inviting me to write a few words about the inspiration behind Esme’s Wish! The idea first popped into my head many years ago, after I finished reading the final book of the Harry Potter series. There was something about HP that reminded me of books I’d read as a child, stories which made me feel like I was sitting by a fireplace sipping hot chocolate. I never wanted that feeling to end and was at a loss! Not knowing the extent of the task I was about to set myself, I decided to try and write a book of my own. My book, of course, is nothing like Harry Potter, apart from the fact that it explores magic and is set in a world not too dissimilar from our own. Esme’s Wish is, for the most part, set in the canal city of Esperance, capital of the parallel realm of Aeolia. I set the story in a glittering canal city because I love Venice and the sea. There’s already something magical about winding canals and drifting gondolas, so to infuse such a setting with real magic was something I couldn’t pass up. Aeolia has its own unique mythology, but I was also inspired by Greco-Roman myth, especially one of the oldest stories in the world, Homer’s Odyssey. 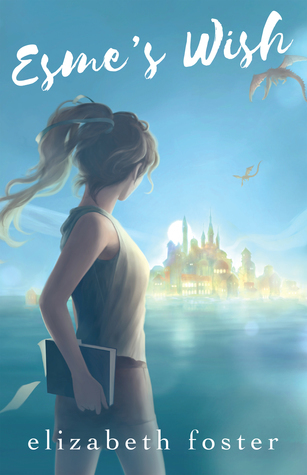 Keen-eyed readers will spot plenty of references to the Odyssey in Esme’s Wish. But above all else, my inspiration was the sea. I’ve always lived near water and I suppose, like many Australians who reside along the coast, the sea is in my blood. The sea has been a muse for so many writers over the ages, but it has gotten a bad rap, in my eyes. It’s mostly been grist for stories about grief and tragedy. Yes, the sea is dangerous and mercurial, but it’s also a source of life and beauty. Esme’s Wish draws a little from both perceptions. So if you like the ocean, magic, sea dragons, and a pinch of mythology sprinkled throughout, you might also enjoy Esme’s Wish. Find out more about Esme’s Wish and where to buy it at Elizabeth’s website. You can also watch the book trailer on YouTube or read a free preview of the first chapter on Kobo (via the contents page). 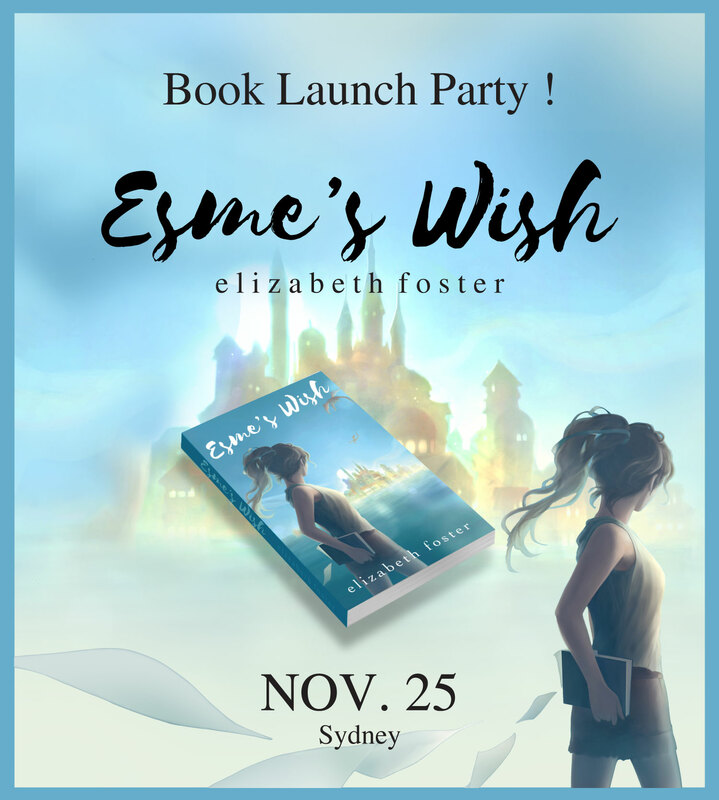 The Sydney launch for Esme’s Wish is on November 25 from 3.30 – 5.30pm at North Spoon Café at McMahon’s Point. The launch will be fully catered with canapes, wine, champagne, real coffee and cake!. The North Spoon Café is a gorgeous café near the harbour, so it should be something special. If you’re interested you need to RSVP’s by November 10. Click HERE to RSVP. This entry was posted in Book Promotions, Special Features and tagged Aussie Author, Elizabeth Foster, Esme's Wish, Love OZ YA, LoveOZYA, new release, Odyssey Books, RELEASED TODAY, YA, YA Fantasy, YA Fiction, Young Adult Books, Young Adult Fantasy, Young Adult Fiction by Sarah "SacaKat" Fairbairn. Bookmark the permalink. Thanks so much, Sarah, for helping welcome Esme’s Wish into the world on her book birthday! My Pleasure Elisabeth ❤ 🙂 I look forward to reading it. I am planning/hoping to do so this weekend. I am hoping to start it this weekend 🙂 It sounds like it should be right up my ally. If all goes according to plan I should have a review up next weekend (hahahaha when do my plans ever pan out).